Caryl Churchill’s play, LOVE AND INFORMATION, is really just a bunch of short scenes linked by a central theme – either love or information – and sometimes both. Frankly, this isn’t my kind of show. I want a story; a beginning, middle, and end and that’s not to be found here. With that said, I did enjoy some of the scenes and several of the performances. 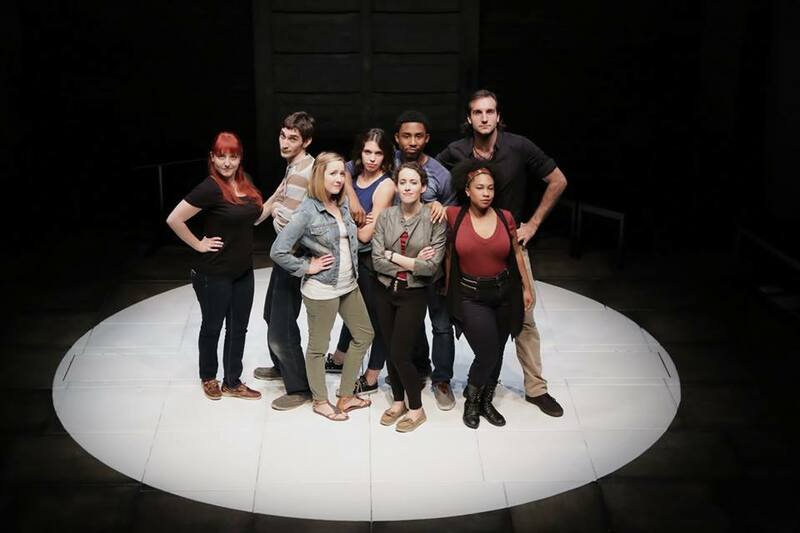 Cincinnati’s Fringe Festival usually features a show by the interns at Ensemble Theatre. It serves as their showcase and this show actually works well for that purpose as it allows each actor to show their versatility. Most showcases, though, are not nearly 70-75 minutes and typically they are carefully chosen works that allow each performer to “showcase” their best work. Instead, this company seems to randomly rotate throughout the play, perhaps going for a showcase of versatility. Director Ben Ranaan stages it well, with the unusual Fringe luxury of one of our cities best stages and technology. Standouts in this class are Patrick Phillips, Natalie Joyce Smith, Molly Israel, and Deidre Manning. They shine in each of their scenes and I look forward to following their careers moving forward. I suppose there’s a larger point being made by this collection (of what felt to me like a bunch of good ideas for plays that just got tossed aside in favor of this format) but I’m not sure what it is. But the audience certainly seemed to have a great time. LOVE AND INFORMATION runs two more times today at Ensemble Theatre as part of the Cincinnati Fringe Festival. Click here for more information.